Can I get courier multi-van insurance? 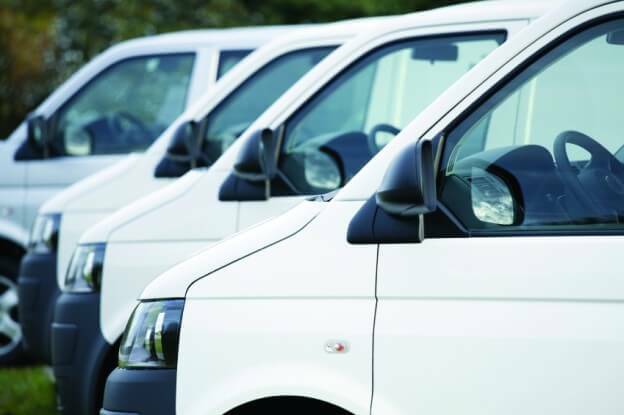 What is the best way of insuring multiple vans for couriers? As we have outlined in previous blogs, courier insurance is a vital tool to help protect your business from accidents, theft and other happenings that could risk your drivers, vehicles and cargo. If you have more than one van or car to insure, standard courier policies become difficult to manage, particularly if they require you to purchase separate coverage for each vehicle. For a business carrying goods in three or more vehicles, courier fleet insurance could be your answer to keeping every worker, vehicle and delivery fully covered to avoid any unpleasant surprises. While in general a courier fleet is defined as any operation that uses five or more vehicles to make deliveries, there are increasingly options that cover a ‘mini fleet’ of just three or more vehicles. While starting a fleet policy with a small number of vehicles might end up more expensive than insuring three or five vehicles individually, fleet coverage policies can accommodate more vehicles in the future very flexibly. They can also cover many more individual drivers, saving you yet more money down the line, particularly if you are planning on expanding. Some insurers may provide the ability to cover any authorised driver across your fleet, rather than individual, named drivers per individual vehicle. The main advantage of this cover, however, is that each vehicle and driver that makes up the fleet and is detailed by a given courier fleet policy will be covered, with just one renewal date and one point of contact to worry about. Any alterations you might want to make to a policy are also a lot easier to make than if you were handling multiple, individual policies too. This also means that you can have a range of different vehicles – cars, vans or even motorcycles – all insured under the same policy, “all under one roof” if you will. It is important to check these terms with your insurance provider, obviously, but often fleet policies will make allowances for this, some with the provision that most of your vehicles are vans. As you can see from above, having a fleet policy can save you a lot of time, particularly if your courier organisation has many vehicles and drivers on its books. As previously mentioned, having only one insurer and one policy to keep track of is a huge plus, saving you vital hours otherwise spent navigating paperwork, phonelines and other administrative tasks. Like individual policies, fleet insurance is also tailorable to adapt not only to the vehicles that form your workforce, but also the exact extra cover you might need to ensure your cargo gets to its destination safe and sound. Other elements like public liability insurance, which will cover your fleet from any losses incurred through interaction with the general public, or employers’ liability insurance, which will cover your business against compensation claims arising from employee injuries incurred while they are working for you, can be added, too. Further extras might include a breakdown recovery service or cover for particular types of cargo, such as chilled goods, expensive electronics or even toxic or hazardous materials. All in all, taking out fleet insurance ensures that you will keep time spent and financial costs down, thanks to the economies of scale. Having only one insurance policy is likely to cost you less thanks to the cheaper cost of your premium and the reduced administration time required to look after it. The final time-saving step that can be including in courier fleet policies is telematics. Though the word may sound like a futuristic piece of wizardry, the technology to enable telematics has been around for almost 15 years. It refers to varying pieces of equipment that can record information about journeys made by your fleet’s vehicles. Today, such technology has become an integral part of both fleet management and keeping insurance premiums as low as possible. Collecting data about distances travelled, routes taken and the busiest travel times, you can analyse how to time or plan journeys to make them more efficient, saving your organisation both time and money. From an insurance perspective, however, it also allows fleet managers to look at ‘high risk behaviour’ among their drivers. Though what defines this is largely down to an individual insurer, this often boils down to recording when and why drivers might brake sharply, accelerate quickly, corner unexpectedly, change lanes or risk breaking the speed limit. The field is constantly evolving, however, with new metrics added constantly. Incident cams mounted on vehicles can also take HD recordings which, combined with detailed reports on any accidents captured by telematics, helps speed up the claims process. Your insurer can also score drivers based on adjustable criteria to find out who your safest employees are. There are even modules that can detect potential or confirmed problems in your vehicles, reporting back steps to fix them and the times, parts or costs necessary. Not only can your insurer use this information to more accurately fix your premiums – hopefully saving you money – but also to save you a huge amount of time. For example, in an accident, there would no longer be any need to wait for traffic camera feeds, witness statements or mechanic reports before processing a claim. Using telematics well takes a degree of initial investment, both in terms of money and time, but when it comes to keeping your fleet safe, premiums low and time free, they can really pay dividends.